Between 2015 and 2016 Europe experienced the biggest influx of migrants and refugees it has received since World War II, the majority of which were fleeing from countries in the Middle East and Africa. Given Greece’s geographical location as the gateway into Europe from Turkey, the bulk of those seeking asylum have come through Greece’s shores. Vera Günther and Nora Azzaoui experienced this crisis first-hand. 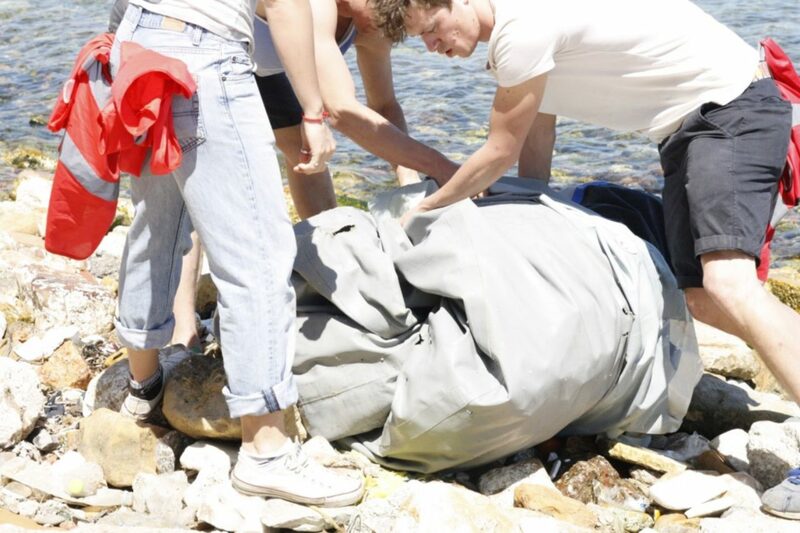 From Germany, which according to the German government received over a million refugees in 2015 – the height of the crisis – the pair was involved in the welcoming process, during which they discovered help was needed on the Greek islands, and like many other volunteers, made the decision to make their way to Chios. “The public infrastructure there was rudimental and hundreds of new people were arriving every day,” Vera told Neos Kosmos. Looking back three years on, she still recalls the experience as “extremely intense and emotional”. Despite working day and night, they still felt despair and helpless in the big scheme of things. But it was this experience in Chios, and the feelings it evoked, that triggered an incredible energy to do their part to change the situation with the establishment of their own not-for-profit organisation, mimycri. While a humanitarian crisis foremost, they also recognised its impact on the environment. Thousands of people arriving by sea, has resulted in tonnes of discarded rubber boats and life vests being abandoned and mounting on Greece’s islands. With Vera being an environmental economist by training, and Nora a strategy consultant, both with local and international experience, they came up with a means to tackle both the human and environmental elements collectively. 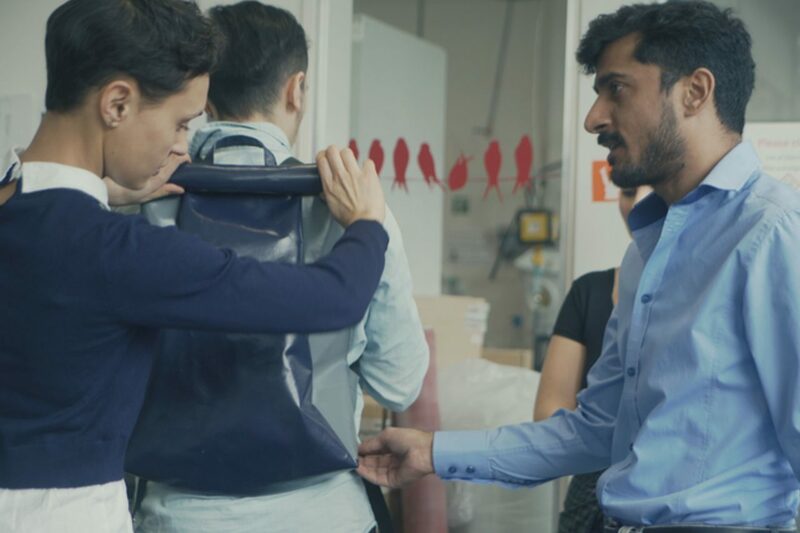 Based in Berlin, mimycri is run by a team of locals and refugees, together with a broad network of volunteers from all over the world, who upcycle broken refugee rubber boats into high quality bags and backpacks. Aside from assisting Greece, the concept gives newly arrived refugees to Germany the opportunity to highlight their talents by contributing and working as part of a team, and in turn giving them greater purpose in their new home. By finding inspiration in the bleakness of the refugee crisis, through mimycri Vera and Nora are hoping to encourage others to look for the good in the bad, as they strive for a world where people help and support one another, because they can and because it feels good. We reached out to the founders to find out more about how they turned an ambitious idea into a reality. Can you tell us in greater detail why you started mimycri? What do you hope to achieve? Nora: mimycri is our attempt to contribute on a local level to a rather big challenge. We see it as [a] creative solution to address issues that concern us all: integration, sustainability and taking part in present humanitarian issues. We show that newcomers have talents and become our colleagues. The products we sell provide remuneration for the team. We use what is already there and transform waste material into high quality products. 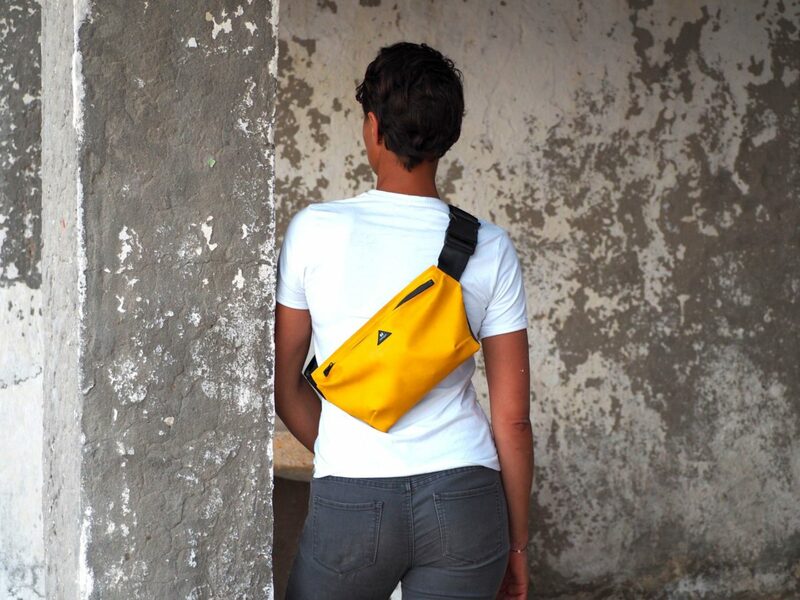 We design products out of historic material that tell a story full of hope and courage. Overall we invite our fellow humans to change perspective: newcomers as talents, waste as resource and designs as contemporary witnesses that raise awareness for pressing challenges of our time. How long did it take you both to set up mimycri? Was it a complicated process? Vera: As with many ideas, in the beginning it was a lot of talking and very little doing. But it was the fact that we were two and the fact that we needed to do something in order to express our own opinion on the situation which kept us going. We needed a year to put the idea into action and another year to set up a team, find a place to work and quit our other jobs. It has never been an easy process and it probably never will be one. But it feels right almost every day. Members of the mimycri team at work. The refugees that have so far been involved in mimycri, what types of roles do they take on? Vera: Refugees, or better, our colleagues are an integral part of mimycri. mimycri would not exist without them. We design, work, eat, laugh and learn together. In the end, we are a bunch of people who want to create beautiful things out of what’s considered waste and who by doing this want to communicate that a better, fairer and more sustainable world is possible. What is some of the feedback you have received from the refugees involved with mimycri? Nora: One of our team members is with us since the very beginning, when we met once a week in my kitchen to work on designs. He helped to build mimycri as it is right now. From him I learned how good it feels to be part of something and to contribute. He once told me that he wants to come every day to mimycri because this is a new home now. Being a very small team we know each other very well, as we are also involved in meetings with authorities or translate at a doctor’s visit. Overall I’d say we have a very open environment where positive as well as negative things can be addressed. In Chios in 2016 collecting broken boats. 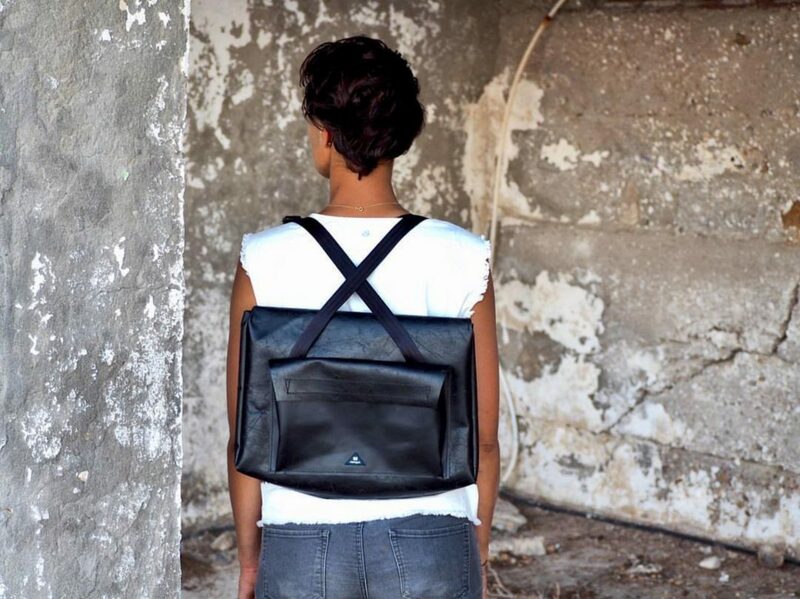 mimycri creations made out of abandoned rubber boats in Chios. What has the response to mimycri been so far? Do you feel that you are achieving your objectives? Vera: The media attention has been overwhelming and impressive from the beginning and we are very grateful for that since it helps us to get our story across. People start to know us and talk about us, which is a good sign. We receive wonderful emails from customers who share their emotional stories which they had so far with our products. In fact, who is carrying this project are our customers. They make it possible to take the material from the beaches in Greece and make something new and long-lasting out of it. They make it possible for the refugees we are working with to have a job and a team. They become part of the philosophy of mimycri that when we start to see things in a different way, a whole new world of possibilities can open up.